Since spring 1941 in Bolkhovitinov's design bureau two engineers - Alexander Bereznyak and Alexey Isaev - began constructing a new jet. 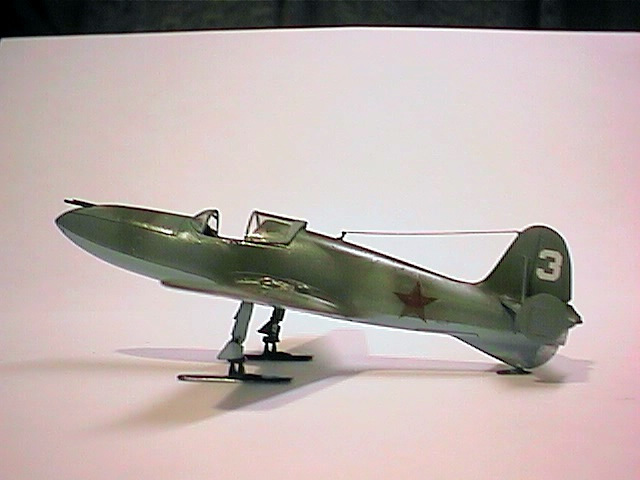 Famous rocket designer Sergey Korolyov developed the conception of the airplane in 1938. L. Dushkin constructed the jet engine and promised a speed over 800 km/h and time of work about one minute. The idea was: to take-off, fast climb, pursue the enemy plane, then shoot it down by using two ShVAK guns and landing like a glider without engine thrust. On September 15, 1941 the first prototype has been built, but as the engine was not ready yet, the plane was tested in aerodynamic tube in Central Aviation Institute, and followed by tests of the plane in glider mode. 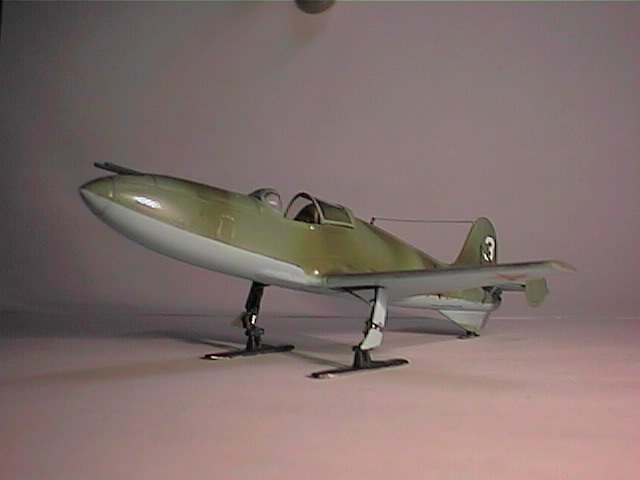 The first flight of the prototype was on May 15th, 1942. The test pilot was Grigory Bakhchivandzhi. In the first flight the following was reached: maximum altitude - 840 m, max speed - 400km/h, climbing speed - 23 m/s. The flight lasted 3 minutes 9 seconds. There were seven flights by March 1943 on the second and third airplanes. In those flights the maximum parameters were reached for the interceptor: max altitude - 4000 m, max speed - 675 km/h, max climbing speed - 82m/s, time of flight - 6 minutes 22 seconds, time of engine's work - 84 seconds. In the seventh flight on March 27th, 1943, the pilot tried to reach the speed over 800 km/h on the altitude 2000 meters. But after the engine was shutdown (on the 78th second of flight), the plane began diving and crashed. The test pilot Bakhchivandzhi perished. The commission, which examined the causes of accident decided, that the course of that was the phenomena of the uncontrolled diving, that appeared during the flight near the sound barrier. Once delivered, the plane was going to be re-named the "BI-VS" and include the capability of carrying several 2.5kg bombs for dropping on enemy bombers. 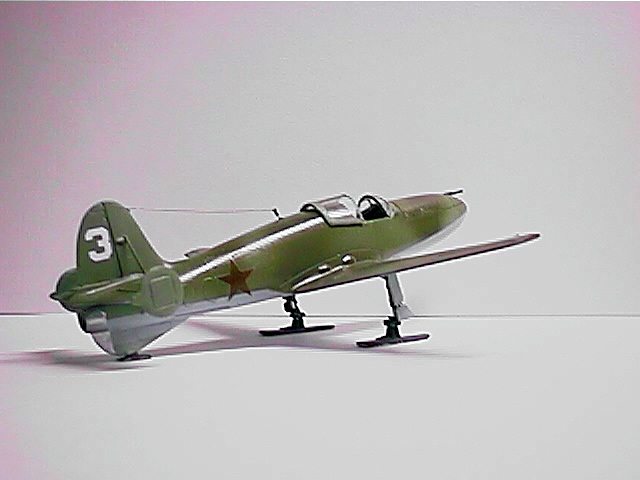 Unfortunately, the series of 30 almost built planes for the Soviet Air Forces was destroyed. 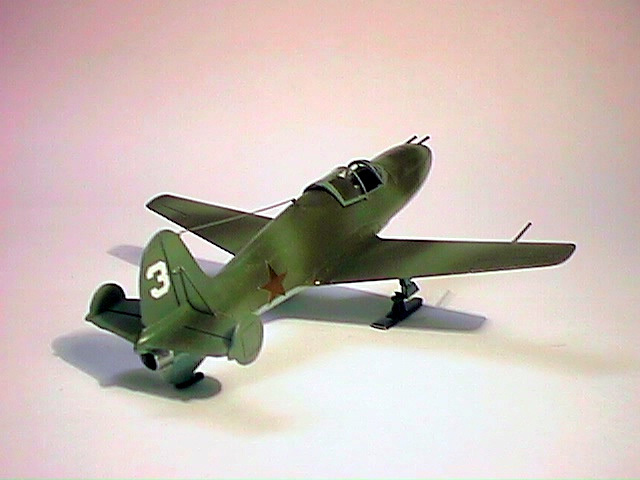 The modeled aircraft is "white 3", the third airplane that had been built which was also the aircraft crashed in the last flight on March 27th, 1943. 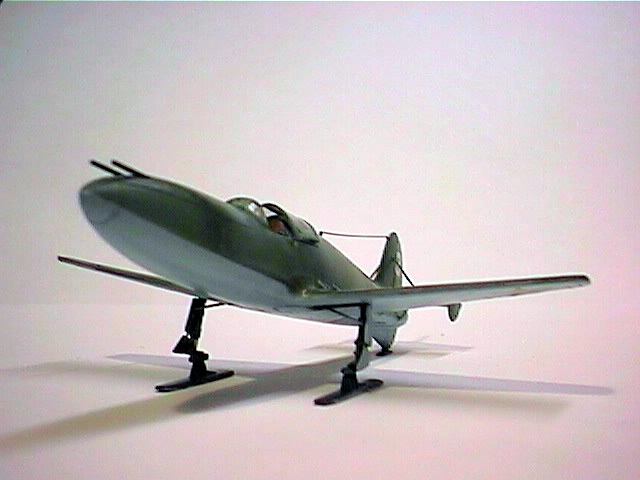 During the winter the aircraft was equipped with ski gear for working from the snow airfields. It was the only difference from the first prototype. The kit had a good detailed interior for this scale and price. References don't say about the cockpit color, but the cockpit colors of the Soviet Airforce are well known - the so-called Sharoviy or Dark Ghost Gray in English, so I used the Zvezda's Sharoviy number 42. The seat is olive green. The seat belts were made of masking film and the leather "pillow" on the seat back was made of the synthetic leather for book-covers. There is no need to perform any corrections to the kit exterior. The engraved panel lines were very crude, so I re-scribed them. The canopy was molded as one piece, so I cut it in two pieces, and mounted the forward windscreen, but the canopy I made of thin plastic sheet. The little wheel wells were out of use when the ski gear was mounted, so I just scribed them on the fuselage bottom. There are no references with color photos of the aircraft. 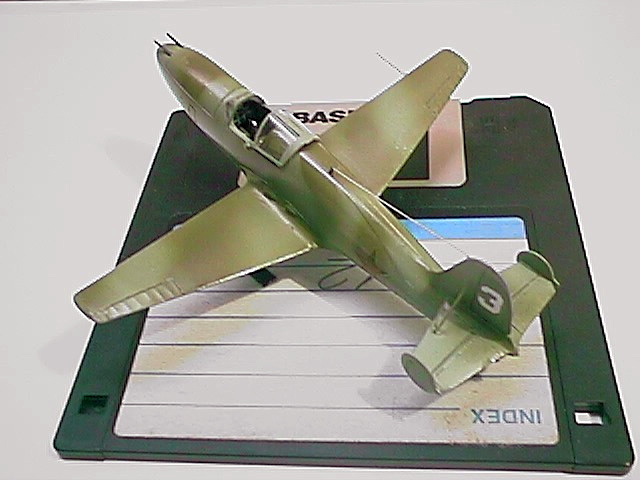 The plane contained in the Monino Air museum has been painted by two shades of green on the top fuselage (dark and medium) and light blue bottom. Also the references mention the light blue bottom and camouflaged top. So I used Humbrol's 159 and 120 for the top and 65 for the bottom. The exhaust tube of the engine was made of steel. Photos from the Monino Air Museum.